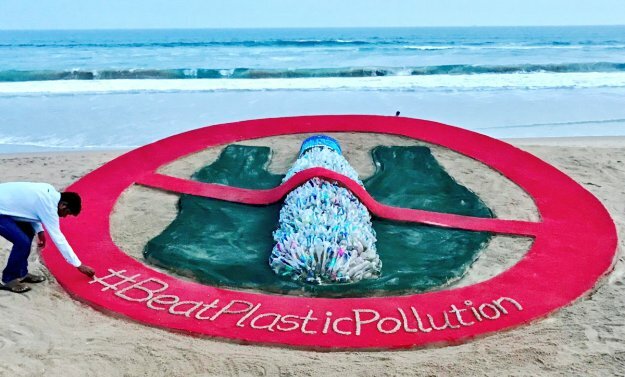 ONI Bureau: A ban on storage, sale and use of plastic bags has been implemented in six cities of Odisha from today to mark the 150th birth anniversary of Mahatma Gandhi. The restriction has been initially imposed on five municipal corporations and municipal corporations including Bhubaneswar, Cuttack, Puri, Berhampur, Sambalpur and Rourkela. It will be extended to the remaining Urban Local Bodies (ULBs), after three months. As per the Odisha Government’s order, the concerned district Collectors and Sub-Collectors have been directed to ensure the ban with some flexibility till one month (November 2). As mark of Team led by district collectors raided several shops in the periphery of Puri Jagannath Temple in view of Plastic Ban. As per Government notification, there is restriction on sale, manufacturing, import and storing of single-use plastic such as drinking water packed in polythene and plastic bottles of less than 500 ml capacity and cutlery made of thermocol, polyurethane or plastic. The Forest and Environment department issued notice that Manufacturers, dealers and major commercial establishments will have to undergo a minimum punishment of 5 years of jail term and fine upto Rs one lakh for violating the norms. Likewise, small traders could face a penalty of Rs 2000 to Rs 3000, if found violating the norms.